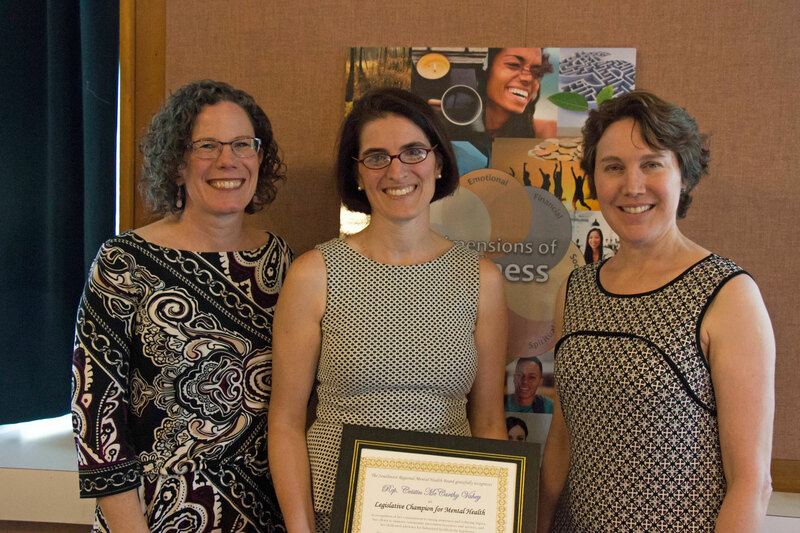 Accepting the Legislative Champion for Mental Health Award from Margaret Watt, Executive Director of the Southwest Regional Mental Health Board, and Alyssa Israel, Senior Research Associate. I was honored to receive the Legislative Champion Award from the Southwest Regional Mental Health Board (SWRMHB) at their annual meeting. SWRMHB advocates for the mental health needs of residents of Fairfield County and works to promote a high-quality behavioral health system. This year I co-sponsored legislation to address the shortage in the psychiatric workforce, which passed both the House and Senate. Thank you, Margaret Watt, SWRMHB Executive Director, Alyssa Israel, and all who work each day to support those in need. You can learn more about SWRMHB and their work here: www.healthymindsct.org.